27th of August, 82 A.D. The Roman Empire resides in a state of chaos ! The Emperor can still count on a large amount of support , but still remains a prisoner of Captain Gaius and his Praetorians in the palace. Although it was assumed that senator Torienus would manage the affairs of the state until the return of General Scipius, after the fateful Night of the 17th nothing has been heard of him. Although Captain Gaius has done his best to prevent anarchy of spreading throughout the city, no one has come forward to take control of the Empire. Most of the politicians are frightened, not willing to take sides in he current cold war that has erupted in Roman politics. The show of force from the mob two weeks ago has shown that it is dangerous to take command. The two factions still seem to have each other check and still enjoy considerable popularity although the loss of senator Torienus has deprived the senatorial party of strong leadership. But the Roman patience is quickly running thin. Ever since the start of the civil war, trade and commerce has fallen to a sorrowful level. Grain and other victuals arrive in Rome with much difficulty from the ports and countryside yet, most citizens try to live life as best as possible in these circumstances. All however pray to their God(s) and hope that this political struggle will soon come to an end. Although the victory of the Romans against the Parthians at Nisibis is greeted with many cheers, it’s the disturbing news from the provinces that causes the happiness to subside quickly before it has even started. The governor of Cappodocia is wondering why no other troops have yet arrived to replace the three legions that were ordered out to support the Roman troops in Parthia? One sent to join General Rubinus and two accorded to General Drusus? Although a fairly peaceful province, already trade routes are being hampered by brigands and robbers. In various cities and towns petty criminality is getting out of hand. The governor is unable to manage it with only a few hundred Roman troops !!!! The former province of Syria has been without a trustworthy Roman legion ever since Paulus left for the campaign in Parthia in april ! Wisely enough governor Paulus has left the province in capable hands and created a trustworthy militia to keep law and order until his return…but Paulus has not returned, nor have there any new legions been allocated to the province ! What’s up? Here also, criminalty is gaining the upper hand and it seems as if the Parthians have found out that the province is unprotected…already small incursions have been made in the last month. The people are in a frenzy, will the Parthians now strike at Syria???? And these are not the only provinces…messages arrive in Rome from all directions calling for military support ! Obviously this mismanagement will have serious repercussions on the state finances. WHAT WILL YOU DO ROME? Last edited by Stratego; 04 Apr 09, 21:15. With the Parthians in a state of defeat they will have no choice but to make peace with Rome! I recommend once that peace has been made that we withdraw those troops back to the unprotected provinces! Also, concerning the events with Gaius, I hereby ask that the Preatorian Guard rise up against Gaius for betraying their emperor, whom they've sworn to guard to the end. It is also the guard's sworn duty to defend the eternal city from invaders and since Gaius has crossed the Rubicon, he would meet that classification! Hail Emperor Sal and Defend Rome! That is your oath Praetorians! You speak highly of a Traitor. Citizens, Friends do not be fooled I march to defend Rome Against Drusus' the Previous Emperor was a Traitor and Murderer. I ask for Patience so that I may bring this conflict to an end soon. Gaius dares speaks of murder when he has the blood of 300 Roman civilians on his hand? The same Gaius who pledged to kill families for generations to come? The same Gaius who pledged to seek out and kill extended family? Why do the Praetorian follow such a ruthless and degenerate fool of a brutal tyrant? The People have spoken! The Senate has spoken! Only Galus continues to bumble and babble on! Release the People from Tyranny! Senator Verus has spoken! Gaius will not be satisfied until the streets or Rome run red with the blood of Citizens. Already, Gaius has order his treacherous Legion across the Rubicon! Already Gaius has order his conspirators to shed Roman blood. It is true! General Arcadius and his Legion, loyal General and Soldiers of Rome has been ambushed and massacred by General Rusticus and Legio II in Brittanica. Legio II has crossed the channel and is now marching on Rome!. General Seutonius, cousin of Gaius and commander of Legio X is also marching on Rome! Gaius intends to rule with a iron fist and destroy all that oppose him! The Senate has spoken! The people has spoken! It seems Gaius cares not, for he is is drunken with power! Praetorians! Release the Emperor and rise against the oppressor and usurper Gaius! Once the Emperor is restored, so will all else! Enough is enough! My brother Cleitus was killed by Gaius and his goons. Let Rome demand: NOT ONE CITIZEN MORE, GAIUS YOU ARE NO MORE! How foolish those who think they wield power are? You the people of Rome are the real power! What we have is two forces of corruption playing with the lives and safety of all Romans like a bunch of twisted puppet masters! A disease has taken over this land. It grows and festers. What was once vibrant and fresh, a Rome we could all love and enjoy, has turned leprous and decayed! What, my good citizens, do you do when disease inflicts to body? If your arm becomes infected, do you not chop it off to save the body? When a leper spreads his disease, do we not cast him out? This is what must be done for Rome. She is sick and slowly rotting to death. We must, for the general health of Rome and ourselves, begin to cut out the disease from within. We must cast out the afflicted. We must take up the old ways and turn to the Gods! Through them we may find salvation! The politicians are a blight on this society. Only through a united effort may we reverse the plague spreading through this land. Only the complete purge of the disease will save us now! Now, those who are loyal to Rome, are invited to join me as I offer prayer and sacrifice. Noble Romans, send me a messenger and you shall be admitted into my sanctum! It is with great sorrow and anxiety that I address you today. As you are all aware, civil war—foul, disgusting, and debilitating--has recently reared its ugly head within our fair Roman Empire. This is a momentous and saddening event, something that has not happened since Caesar and his legions crossed the Rubicon to war against Pompey, so many years ago. Yet now, because of the base machinations and corrupt, power-hungry schemes and plots of the Praetorian Prefect Gaius Marius, and of Senator Torienus and the Senatorial Party, civil war now threatens the very vitality and life of our Empire. Many have been confused and bewildered by the recent torrent of political propaganda, and by the many slanderous, libelous, and detracting statements and assertions emanating from the Senatorial Party in general, and Gaius and Torienus in particular. Thus, I feel it is my solemn and God-given duty as a loyal, trustworthy, and honest Roman politician to set the record straight and inform you, the Senatus Populusque Romanus, of the true situation in Rome. Gaius and Torienus, far from being the political saviors and messiahs that they have styled themselves to be, are in reality treacherous and foul usurpers and traitors. All of their allegations against and attacks on Emperor Sal’s character and actions have been false, baseless, and fabricated. They can prove nothing against the Emperor, and are instead using raw political and military power to further their cause and win support. Gaius in particular is guilty of treachery, that blackest of all sins, that insidious fault that led Brutus and Cassius to assassinate their emperor and, most importantly, their friend Gaius Julius Caesar. Gaius has impeached his honor and broken his word numerous times. He begged our emperor, Sal, to be appointed Praetorian Prefect, vowing that if he was, he would be the emperor’s loyal friend and supporter. Almost immediately upon receiving command of the Praetorian Guard, he proceeded to tyrannize the citizens of Rome and hold Emperor Sal under house arrest in the Imperial Palace. Together with Torienus, he has conspired to have Emperor Sal’s brother, the illustrious General Scipius, proclaimed emperor. Scipius, however, is an honest and humble man and a great soldier and protector of Rome; I am very confident that he will not accept the imperial purple. Then, when a group of righteously angry Roman citizens decided to take action and march against Gaius and Torienus with the intent of freeing Emperor Sal and salvaging their Empire, Gaius cruelly and mercilessly ordered his Praetorian Cavalry to butcher and massacre his own countrymen, his fellow Romans. His men slaughtered over 300 of our friends, relatives, and neighbors that night—and Gaius has resolved to slaughter many more if he deems it necessary to protect himself and his colleagues and insure the success of their usurpation of the emperor and their upheaval of our Empire. Now, Gaius has illegally summoned numerous legions to Rome to aid him in oppressing the emperor and the senate and people of Rome, and in helping him and the Senatorial Party to repress all opposition to their rule. As I speak, two legions of Roman soldiers—soldiers that are our fellow countrymen, legions that we have supported, sustained, and equipped with our tax money—are barreling down on Rome in blind obedience to Gaius’ militaristic wishes and hubristic schemes. I tell you solemnly: Gaius plans to impose martial law on Rome. He will hold us all in an iron grip, relying on his military might to keep himself in power and carry out his wishes. He and Torienus are already acting like dictators—like the kings, the Tarquins, of old that we, led by Brutus, threw off long ago. We true Romans must rise up and defend our emperor and our freedom. We must not tolerate the unjust dominance of Gaius and Torienus. 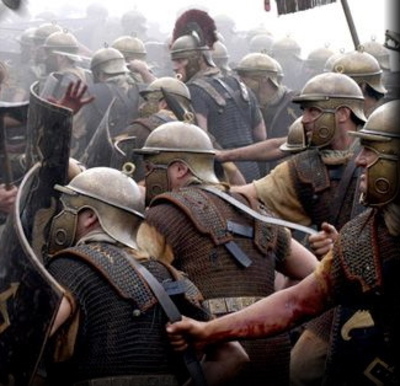 Though I know many of the Praetorian guardsmen and many of our legionaries are still loyal to Emperor Sal, they are at the same time either afraid of disobeying Gaius, or understandably confused at what is really going on in Rome. I hope that they will be made aware of the way things really stand in Rome, and will realize that their primary duty is to defend the senate and people of Rome, and their emperor and true commander in chief: his Imperial Highness Salinatorius. Drusus, contrary to what is being asserted by Gaius and his partners in crime, is actually a friend and supporter of Emperor Sal and of the senate and people of Rome, despite his being labeled a “usurper.” As I speak he is en route to Italy, having left Cappadocia with his army some time ago, leaving General Scipius to control the eastern provinces. I pray that God will speed him along his path as he makes his way towards Rome, ready and willing to uphold the lawful authority of the emperor and the Senate against the forces of Gaius and the Senatorial Party. One thing more: all you who are unwilling to take a side in this struggle, you cannot remain neutral. You MUST pledge your support for one side or the other. You MUST rise up in support of the emperor, in support of our Empire. I end this speech by echoing the words of my illustrious senatorial predecessor, the famous statesman and orator Marcus Tullius Cicero—a man who was, like myself, a firm defender of and believer in the need to support lawful authority, and a man who fought oppression and injustice his entire career. With Cicero, I cry: O tempora, O mores! O the times, O the customs! PRAETORIANS: NOW IS THE TIME FOR ALL GOOD MEN TO COME TO THE AID OF THE EMPEROR. NOW IS THE TIME FOR YOU TO RISE UP AND DO YOUR DUTY; TO OBEY THE EMPEROR, RATHER THAN GAIUS, AS YOUR ULTIMATE AND TRUE COMMANDER. Spoken like a true Roman of the Romans! I see much ignorance of realities and feeble semantics played upon such purposeful ignorance, my fellow citizens of Rome. The city was lit afire & made a distraction for the purpose of covering of the many instances of criminal acts by all to many so called public servants. The debacle & 'good doings' in its wake played such that many charges & treasonous 'official' responses & judgments were set to solidify the score in the eyes of those that would unfailingly & blindly be led into their further subjugation & helplessness by those which should serve them - not make iron handed grip of the Roman peoples freedom & honor by their insidious usurpation's & extortion's. Blood upon our streets are the direct act & result of lawless mobs led & put to it by the very treasonous individuals which set our glorious city to the torch for cover of their treasonous activities so engaged upon as means to settle their treacherous scores - not the Praetorians which remained fully restrained & mindful of the Roman citizens in Rome who were not swayed, inclined, or involved in the treasonous desires or mechanisms under which they have lived for some time. The very minuscule groupings & assemblage of those which propagated & visited the unrest which spilled Roman blood upon the streets is mute evidence of the very real desire of the vastest majority of Romans for true justice & honorable leadership in Rome. The treasonous taking of Senators for the purpose of hostage & making of demands - when it became so obvious that little to no support for the feeble & criminal attempt against lawful institutions had no chance, otherwise, due the obvious total lack of rising support in the streets & in aid for their cause - was not a part or parcel of lawful or honorable actions in the peoples better interests or Honor... it was entirely criminal & treason no matter, manner, or way one chooses to truthfully & honorably judge it. No Legios - loyal to the people of Rome & honorably bound to their protections are within the city. General Scipius has commanded that no Legios shall enter the city except as might be required to stop the renegade & treasonous 4 Legios - already having declared their commander, Drusus, Emperor knowing full well that Salinatorius yet lives - which already have sailed upon Rome to threaten her from her harbor making such demands as to make certain that they will stop at nothing, at the spilling of any and all Roman blood within Rome that will stand against them to oppose their treasonous commanders wants & desires to smash all opposition to his own personal treasonous desire for total power over all Rome... all contrary to Salinatrius blind & ignorant expectation that the traitor Drusus would restore him once the full rein of power might be within his hands. Salinatorius has not been slain, but lives in full luxury - though sequestered under guard by Scipius order to Gaius & the Praetoran Guard - such that no harm might come to his brother & such that his brother might finally come to the full & obvious realization that his heretofore 'loyal' allies - criminal, such as they obviously are - would gladly see him dead at the 1st opportunity which would see them 'legitimately' to his position over all Rome. In that Salinatorius is not dead - by the hands that the deserter Drusus and his cohorts in treason would have you believe & proclaim are against truth & true justice in Rome - is a serious detriment and a proof that their exhortations are false - as well a serious detriment to their cause in making any case that the treachery is anything BUT that of their own. That Salinatorius lives is ample proof that truth & all hope of Roman justice yet lives & the treasonous elements now arrayed at Ostia have no interest in it. For it is certain, that if the life of Salinatorius were put to the point of a Gladius & made incumbent upon Drusus staying his certain attack upon all citizens of Rome, the very 1st order which would eschew from Drusus mouth is that of 'ATTACK'... but no such order or direction exists from Scipius. Gaius - regardless of his rhetoric - is bound by his declared allegience to Scipius & thus is so ordered by Scipius to serve the better, Just & Honorable Roman interests of the people within Rome. Scipius has made plain to Gaius that any hair harmed upon the head of his brother, by any person of Rome, will be the certain sentence of their own death imposed by the hand of Scipius himself. Though the many criminal charges & evidences of Senator Torienus bear certain need of judgment by Roman Magistrates - NOT the Senate itself - the efforts of Torienus to seize the Roman Treasury were properly denied by Scipius order to Gaius to secure against any singular authority, such that the no uncontrolled or exhorbatant expenditure or subversive use of it might occur by the unaccountable acts of a single body not charged with its physical security. The purse strings are secure for the intended & true benefit of ALL Rome, not simply open to the unrestrained desires of those with tempestuous access to it. Though there are & have been similar concerns & observations of unlawful activities of past governance in common between Torienus & Gaius... Gauis is not, nor has he ever been subserviant to Senator Torienus or any other Senator - thus is the proof of it! Many calls & plea's of concern emanate from all points east EXCEPT where the Roman Legios of Rubinus & Scipius faithfully stand triumphant and fully arrayed against our truest sworn enemy - Parthia. They stand as so ordered by their honor & duty to the People & Greater Honor of Rome. The true nature & realities now existing in the east that lead us to the point now most of concern to our very existence as a People & Just Power - that, the direct & most treasonous result of the desertion of Drusus from his post & Roman charge of materially & factually occupying all points of Roman domain formerly under his charge in the eastern extremeties, as well the security & maintenance of alliance & freedom for Armenia - now tenuously restored, maintained, guaranteed, and or secured by the 3 Legios under General Scipius & his most honorable consort, General Rubinus - by disobeying the last lawful orders of his Emperor to stand against Parthia at all cost to march, then sail upon Rome after declaring himself Emperor (even though knowing that Salinatorius life had NOT been taken) and then enticing his 4 Legios to declare him Emperor once again while undertaking the only true thrust towards Rome such as to secure it by force, death, & destruction against any & all Romans that would defy his treacherous act. Upon his arrival off Ostia, it is only to his impediment that Salinatorius yet lives, and only so because of the hand of those that Drusus must face to secure the ultimate goal of his treasonous desire against Rome - the sole personal desire of Drusus for TOTAL power over Rome. Drusus desertion in the east has placed all Romes assets & lands on the edge for his on personal desires - he is no savior, nor is he innocent, rather, he is at the heart of all things now threatening Rome & the only brightness that shines beyond his treachery & the potential for disaster he has birthed is that General Rubinus & General Scipius stand as a mountain in the east DESPITE his desertion of them & his ultimate charge to guarantee & secure all they now stand sworn to preserve with little more than the Gods of Rome in their camps. As I now know, & such as will be made certainly known in Rome, the death of our glorious & honorable General Paulus was ordered by Drusus as he turned his forces to the west & deserted his charge to March on Rome for his own treasonous attempt on power over all Rome. His failure is now ever more apparent in the fact that General Paulus LIVES & is in Rome, sent here in his recupperance by General Scipius such as to render his own evidences of many treacheries & illegal acts by those which now would claim they are of legitimate honer to lead Rome from the dishonors & injustices covertly purpetrated against & held over all Romans in the past! I know he lives & is in Rome because I have SEEN him! General of Rome, Legatus Scipius has NOT taken the Purple unto himself, but acted in the only fashion to which he is able & from great distance... exercise of only such authority as might be placed, extended to, & acted upon by all that so abide his Honor and Just order that the People of Rome ARE Rome & must be the sole interest of any & all acts to guarantee it. He seeks no glory or hold on Rome beyond any guarantee or influence he might effect as a Guardian of Rome - again, in his heart, Rome is her People... those that would take authorities within her heirarchy are but servants, not benevolent's to play games with the lives of those they serve & protect! The facts suffice easily to dispel the fallacies & make certain the reality in Rome! Nay Senators, if you so serve the people which your honor demands, you must stand to your honor & be true to the facts! Surely the Governors have relied on the strength of full Roman Legions for far too long. Why should powerful, and expensive, war forces be kept in every province on a peacetime footing? Is heavy infantry, cavalry, and siege train needed for brigands and robbers? Or even tribesmen? I propose that new levies be raised in the provinces. On a wholly new model. Instead of building yet more heavy legions, so that governors can believe they are powerful, and can indeed gain mechanations on becoming emperor, we should train 'light' legions. Legions consisting of proportionately more velites and archers than our war legions. Light legions will be able to garrison effectively, and protect against the depredations of brigands. With a core of heavy legionnairres, the light troops can even be powerful enough to protect against independent tribes that might find our provinces appetizing. Build light legions to garrison our provinces, and continue the war with Parthia with our most powerful forces. 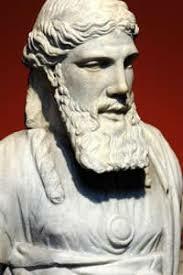 Parthia is in tatters, why should we give them a chance to rebuild to trouble us again. We did not give Carthage that chance after Hannibal rampaged on our lands. Should we not follow our own example and subjugate this foe? Then we shall see who the victor is. And has been decided in Drusus’ favor. At nightfall on the 27th of August, almost all of Drusus’ legions headed out from the harbor of Ostia northwards. Covered by the moonlight shadows they headed out to prevent general Valerius of reaching the capital. It was planned that General Drusus’ troops would ambush their unsuspecting foes and take them by surprise as they forced marched towards Rome. However, due to the overeager fighting spirit of Drusus’ Brittanic infantry the ambush was repelled by Valerius vanguard. Although the presence of enemy legions was now confirmed, Valerius bravely decided to continue southwards cautiously only to be faced by the entire might only a half an hour later. Due to the darkness –it was a moonless night- confusion reigned, to the advantage of both commanders in different sections of the battlefield. Here’s where the cover of darkness acted in his advantage: as the vanguard was ordered to keep the fight up against impossible odds, the rearguard was ordered back towards Castra. As the last brave veteran in the vanguard of the Felix Legion fell to the ground, it occurred to Drusus that pursuit of the retreating army was as good as impossible under such darkness –especially with so little cavalry !!! It was a sloppy battle !!!! While I am grateful to you for ordering the Praetorians to protect and defend the Emperor, and for your service to Rome in defeating the Parthians, your logic regarding General Drusus’ status as a usurper and traitor has me somewhat befuddled. How is General Drusus a traitor and usurper? True, he was hailed as emperor by his troops some time ago; but this was only because he and his legions truly and honestly thought that Emperor Sal was dead. As soon as it became apparent that Emperor Sal was, in fact, alive and well, General Drusus formally and officially renounced the claim to the Purple that had been put forward on his behalf by his troops. If proof of this is desired or needed, the Gameturn 8 thread can be reviewed. Drusus’ speech renouncing his troops’ previous declaration of himself as emperor can be found there. Furthermore, while Drusus’ abandonment of the East has greatly weakened that region and left you with a heavy burden of grave and numerous responsibilities, I regard civil war to be more of a threat to Rome than external threats in the form of foreign enemies such as Parthia. This is all the more true considering your recent victory at Nsibis, which I hope will give us a breathing space in which to end the civil war. I doubt Parthia will contemplate launching any sort of offensive in the East. Let me state that I understand the gravity of the situation you—and many other Roman commanders and governors, such as the governor of Germania Inferior and Commander of Legio VIII, Publicus—now face with the departure of Drusus, and applaud your excellent leadership against the enemies of Rome. But Drusus’ departure to protect the Emperor is, in my humble opinion, a “necessary evil” that must dealt with for now, until the civil strife ripping Rome apart can be concluded. Finally, let me end by stating that I personally do not regard the slaughter of 300 Roman citizens seeking to free their senators and emperor, and the slaughter of 250 Praetorians obeying orders from Gaius to attack the mob, as merely a "peaceful calm" or "no civil war." If Romans are fighting other Romans, what is that, short of civil war? I hope you can answer me this. His friendship & correspondence with Scipius is well known. The record & then events - as you state them - are not fully in their proper order, nor as they occurred, good Senator. Nor were the "citizens" to which you refer to... trying to "Free" the aforementioned Senators... they, in fact, took them hostage & visited death upon many in the doing when the vastest majority of Roman citizens did not rise to their criminal calling. There have been no uprisings or bitter major civil strife's within Rome since the criminals failure to incite & inflame it passed into nothing more than uncertainty - uncertainty played upon by those that seek return to the days when fear on the streets forced obedience by the acts of those with power & authority over them - to include Senator Antonius! I submit that your memories might be faulty & the record stands fully certain, by chain of events, to remind you that the facts do not match your 'recollections'.